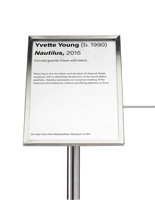 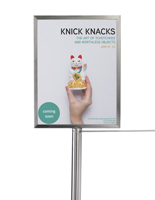 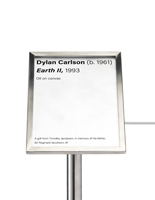 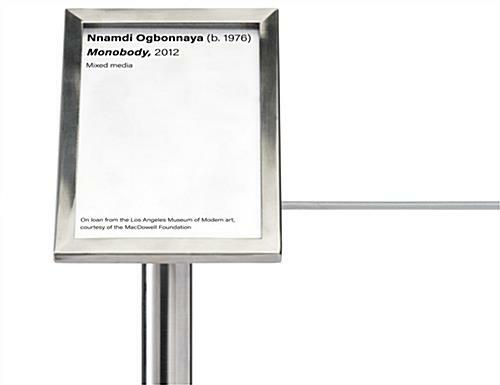 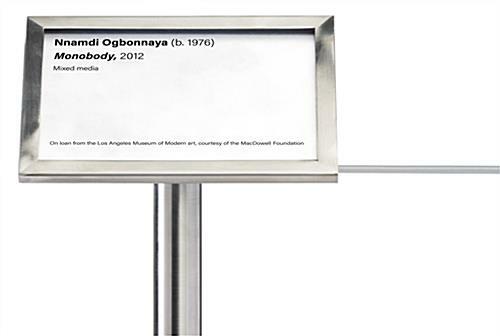 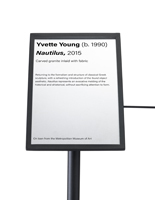 6" x 8.5" 7" x 11"
This exhibit barrier 45-degree label holder turns your existing museum stanchion into an information stand that is both discreet and efficient. 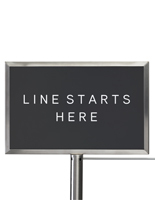 The sign plate affixes to a 16” high QueuePole.Slim post at a comfortable viewing angle in either portrait or landscape orientation. 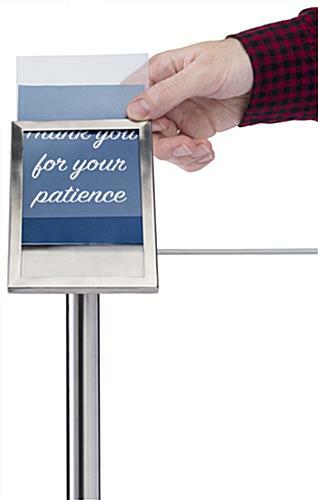 This space-saving 45-degree label holder has a discreet 4 x 6 sign frame that blends seamlessly into your existing décor. 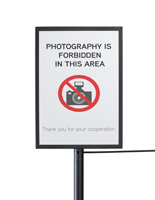 The elegant, minimalist design with a non-glare PVC lens provides a clean look that prioritizes your message. 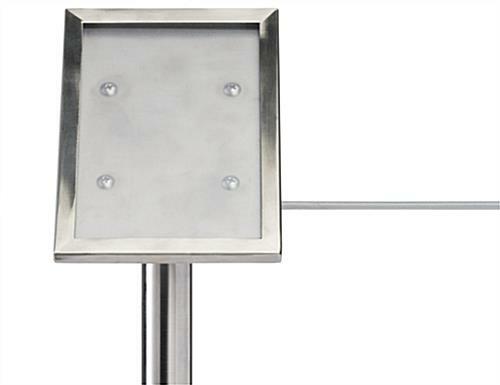 By replacing the top cap with the included screw-on angle plate mount, any QueuePole.Slim post can become an information stand that won’t take up any additional room. 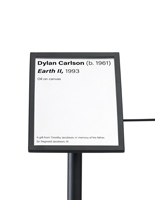 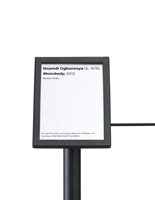 An industry standard in any museum or gallery, this 45-degree label holder is a must-have for public displays. 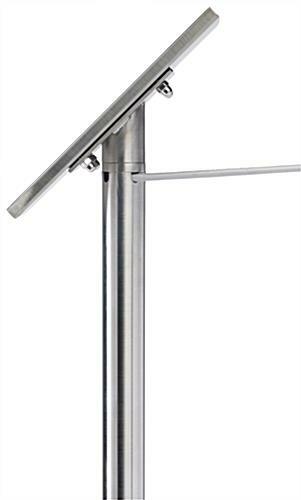 Please Note: This sign bracket fits only QueuePole.Slim Series retractable posts (sold separately) and will not fit posts from other manufacturers or with other brand names. 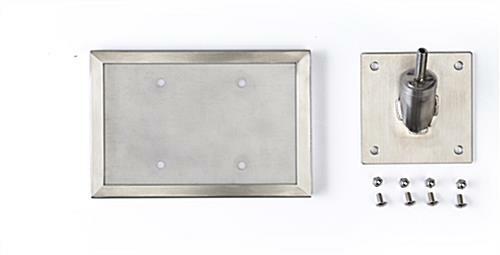 4.3" x 4.5" x 4.6"